Posted by Jaidis in Giveaways, Random. I have recently secured a domain name for my blog and am almost done moving Juniper Grove to its new home! Enter to WIN a $10 Electronic Amazon Gift Card when you subscribe via Email at my new blog! Easy Peasy! Thank You to all of my wonderful email subscribers and I really hope that you will follow me to my new home! Posted by Jaidis in 3 Tree Reviews, Book Reviews, Books, Jaidis Shaw Reviews. Get your copy of Hope’s Shadow on Kindle! Esme takes it upon herself to put an end to the Purge and stop the Evening Star. But when fate puts her in the path of the Evening Star, she is forced to question the truth about the supposedly evil nature of the stars. This act may lead to her death at the hands of the Purge – or at the hands of the ones she loves. Hope’s Shadow is set in a fascinatingly dark world, where an endless Inquisition rules with a bloody fist. The shadows that permeate this world suffocates hope in darkness, as heroes of yore return as villains of today and the weak struggle to find a way back to the light. Hope’s Shadow by Amberlynn O’Shea describes a dark world where people are clinging to any shreds of hope. When Esme woke up in a cemetery ten years ago without the slightest memory of her past, she is left wondering who she really is. As she travels to discover who she is, she must tread lightly as the Purge is raging everywhere. Anyone who shows a different belief or that stands out from the crowd are charged with sorcery – often being tortured and burned at the stake. I will admit that the first part of the book was hard for me to get into. There are so many details that are being brought to light and it left me slightly confused as to where the storyline was headed. But I did feel like I was there with the main character, Esme, as she was often left confused and wondering what is going on and where things were headed. Once the plot began to unfold, I did find myself emerged in the story and the characters. I did enjoy the setting and world that Ms. O’Shea has created. Even though the murder, betrayal and bloodshed cast an eerie feeling to the world, there is that light at the end of the road. The light that everyone clings to with dear life, hoping that they will be saved from the darkness. The reader is reminded that no matter how small, there is always hope and that you must stand up for your beliefs and doing what is right, even if it means sacrificing what means the most. If you enjoy reading stories that tell about Love, Hope, Sun, Moon and Stars and that have beautiful book covers..then pick up a copy of Hope’s Shadows. Posted by Jaidis in Book Tours, Books, Giveaways, Nurture Your Books. Thank you to everyone who came out during the G.G. Vandagriff 4-Book Nurture Gala Book Tour and entered to win a copy of Cankered Roots by G.G. Vandagriff!! I used random.org to select the winner. The winner has 48 hours to claim their prize or a new winner will be selected. Winner has been contacted via email. Thank you again to everyone who entered and a big THANK YOU to Ms. Vandagriff for donating a copy to giveaway on Juniper Grove! Posted by Jaidis in Books, Featured Authors, Giveaways, Nurture Your Books. WHEN: Saturday, December 3rd, 2011 from 1 – 4:00 pm EST! Look for the #MaryMartin hashtag on December 3rd on Twitter – it’s that easy! And so much more – including the link to Mary E. Martin’s blog to enter the Grand Prize Giveaway where you could win a new Kindle! Posted by Jaidis in Giveaways. Enter the Boost Your Buzz $1,000 HOLIDAY Giveaway! As many of my loyal followers know, I love taking part in giveaways! So I thought that I would take part in this year’s Boost Your Buzz $1,000 Holiday Giveaway! 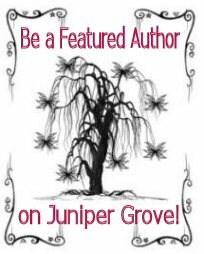 You can gain entries here on Juniper Grove by following me via Email Subscription (in the right sidebar), on Twitter and on Facebook. The giveaway starts December 1st 12 am EST and will run until December 15th 11:59 pm EST and is open worldwide. $1,000 CASH prize will be delivered via Paypal after the winner has confirmed. The winner has 48 hours to confirm their winning notification. If the winner does not respond within 48 hours of receipt of the winning email a new winner will then be drawn and so on and so forth. After you have followed Juniper Grove via Email, Twitter and Facebook…head on over to Social Media Junkie OR Simply Stacie (you only have to enter on one of the sites as the forms will be the same on each) and enter to WIN! They have made it so entering will be quick and easy so everyone entering can get tons of entries and all participating blogs can get tons of new followers. For more info, you can check out the Boost Your Buzz $1,000 HOLIDAY Giveaway FAQ. Thank you to everyone who came out during the Entrapped Nurture Book Tour and entered to win an eBook copy of Entrapped by Barbara Kyle! As a bonus, the winner will also receive a print copy of The Queen’s Gamble by Barbara Kyle! Thank you again to everyone who entered and a big THANK YOU to Ms. Kyle for donating her books to giveaway on Juniper Grove! Posted by Jaidis in Books, Giveaways, Nurture Your Books. To Enter, simply click on the Link for EACH giveaway you would like to enter and you will be taken to the Rafflecopter widget! It’s that easy! I have update my Giveaways Page to include the current giveaways and I will also be updating it each week to include the new giveaways, along with writing a post like this one so that you will learn about brand new giveaways once they become available! Please help us promote Global Literacy and enter to win $8,500+ worth of event-related prizes – there’s something for everyone! Posted by Jaidis in Books, Nurture Your Books. Stay tuned for Flash Twitter Contests & last-minute Cyber Monday Deals. Don’t miss your chance to win a PDF copy of a Special Edition “Rinaldo’s Art Project” Short Story Collection by Mary E. Martin! With magical light, Alexander Wainwright, Britain’s finest landscape artist, creates stunning visions of the beyond. His painting, The Hay Wagon, wins the Turner Prize. His nemesis, Rinaldo, a conceptual artist, seeks revenge. Fearing the loss of his muse, he is seized with a vision, he paints ugly, misshapen, humanoid creatures on his canvas. A fabulous tale of art, creativity and—betrayal. Alexander Wainwright, Britain’s finest landscape painter, enchants us with visions of the beyond—that which lies behind the everyday world. His senior partner has dropped dead. Now,lawyer Harry Jenkins,is free to make his own mistakes. Swept up in a fraudulent land scheme, he is now in conflict with his best client. He finds her,an elderly woman,dead in her bed. The Florist, a sadistic killer with an artistic flair, stalks women in the city. Are all events connected? Can Harry find out before the Florist strikes again? Love and forgiveness amid fraud and deceit? Years back, George Pappas, a charming thug, scammed a huge sum of money with promises to develop a drug to combat memory loss. No drug was ever made and the money was gone. Harry Jenkins’ elderly client, Norma, demands he find it. When she is lucid, she’s credible, but when she is mad, she just might be evil. A fraud upon a fraud is about to unravel. The gathering of the ravens presages a deadly disturbance of the natural order. Years ago, in Final Paradox, the second in The Osgoode Trilogy, the wheels were set in motion by a fraud upon a fraud. At last, you will find the answers to all the questions. 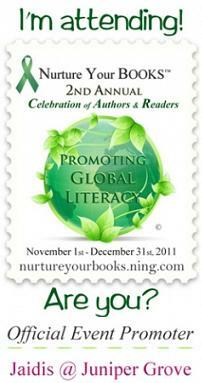 Contact info@nurtureyourbooks.com with Proof of Purchase! 1 lucky winner will receive a print copy of Day by Day Armageddon: Beyond Exile by J.L. Bourne! The winner was selected via Random.org and will have 48 hours to claim their prize or a new winner will be selected. Thank you to everyone who entered the giveaway. My Giveaway Page is current so be sure to enter for the chance to win some other amazing prizes! Posted by Jaidis in Book Tours, Books, Nurture Your Books. I realize that I am one of those rare people in the world who gets to live a life full of passion, suspense, angst, fulfillment, humor, and mystery. I am a writer. Everyday when I sit down to my computer, I enter into world of my own making. I am in the head of a panoply of characters ranging from a nineteen year-old Austrian debutante (The Last Waltz) to a raging psychopath (The Arthurian Omen) and four women at once in The Only Way to Paradise. How did this come about? I think I was wired to be a writer when I was born. Even though my formal career was in finance, writing was all I really wanted to do. There were a lot of things about my surroundings that I couldn’t control during my growing up years, so I retreated to whatever alternate existence I was creating. The habit stuck, and now my family finds themselves living in my current reality during dinnertime as I overflow with enthusiasm about Wales or Italy. To learn more about GG Vandagriff, visit her Author Tour Page! A romantic historical epic, the award-winning The Last Waltz: A Novel of Love and War begins with the glittering life of Amalia Faulhaber, socialite, nurse, and finally baroness. Amalia is immersed in four phases of Austrian history: the restless energy that proves to be the last days of the Austro-Hungarian Empire in 1914. She survives its destruction and dissolution. Through her husband she is deeply involved in its attempt at democracy and eventual descent into fascism. A brilliant heroine, Amalia is a light in the lives of the men who love her—a Prussian officer, a Polish doctor and patriot, and the solid, influential Baron von Schoenenburg. Politically inclined herself, her vastly differing romances follow the fate of her suitors and the part they are destined to play in history. Combine a rifle-toting widowed grandmother with a angst-driven young widow struggling to find what went wrong in her family’s past, and you come up with Cankered Roots, the first volume in a series of five about the adventures of genealogists Briggie and Alex, aka RootSearch, Inc. Who knew genealogy could be such a dangerous hobby? No sooner has Alex confronted the father who sent her packing as soon as she graduated from high school, than he is murdered. What is the dangerous secret that has destroyed her family? The truth lies in the unexpected, secret-laden genealogy of Alex’s father’s family, that the brilliant sleuths uncover amidst comedy and danger. In The Arthurian Omen, a Celtic scholar is brutally murdered when she discovers a clue to a fifteenth century manuscript that could prove the identity of King Arthur. Determined to find the ancient relic and avenge her sister’s death, Maren Southcott begins a quest that immediately puts her own life in danger. Her search weaves through the ruined castles and monasteries of ancient Wales, while she is unwittingly stalked by a psychopath who desires the relic to incite an “Arthurian revolution,” killing the royal family, making way for the return of the “Once and Future King.” Carrying her investigation on despite personal crises, Maren can depend on no one, and is determined to locate the relic before the murderer can strike again. Cankered Roots by GG Vandagriff is an emotional tale of love, loss and finding out who you are. Alex, a genealogist, takes a break from helping others learn about their family trees and concentrates on her own. Desperately wanting to have a family after her husband’s death, she sets out to uncover the grandfather she barely knew and whom her parents are determined to forget ever existed. What she begins to uncover reminds Alex that sometimes it is better to leave things buried in the past. Don’t forget to stop by my Giveaway Page to enter to win a copy of Cankered Roots by GG Vandagriff! 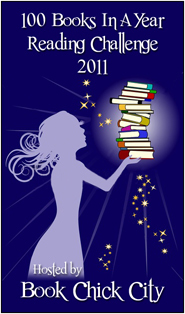 Receive info about book reviews, giveaways and more! Jaidis has read 69 books toward her goal of 100 books. Juniper Grove is a participant in the Amazon Associates Program. However, all fees earned will be strictly used to provide giveaways on this blog!